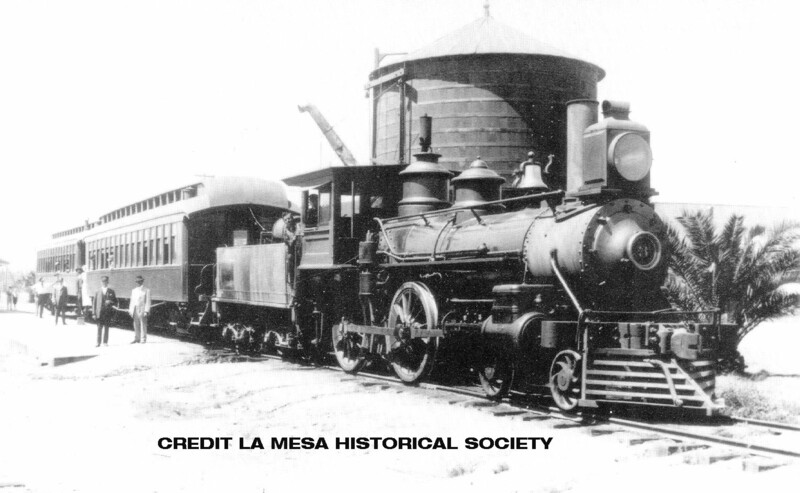 At La Mesa Depot in 1910. Enroute to San Diego on the San Diego and Cuyamaca Line. Up to ten trains a day provided passenger service for the 11 mile ride from La Mesa to San Diego. The fare was around 40 cents one way.